A Belarusian Memorial Chapel, Royal Academy of music theatre and recital hall and the renowned Bloomberg headquarters are among the projects from the UK shortlisted in the World Architecture Festival (WAF) Awards 2018 – the world’s biggest architectural awards programme. Architects and designers from the UK will join the world’s architectural elite later this year as practices across the globe prepare to attend World Architecture Festival (WAF) 2018. WAF will reconvene for its eleventh edition in Amsterdam, The Netherlands, from 28-30 November this year. This is the first time the event has been hosted in the Dutch capital, following previous editions in Barcelona, Singapore and Berlin. Leading UK architectural thinkers and industry personalities such as Sir Peter Cook RA, Architect, founder of Archigram and CRAB Studio, Sir David Adjaye, principle of Adjaye Associates and Razia Iqbal, BBC arts correspondent will speak at WAF in Amsterdam for three days of conference programmes, awards, exhibitions and fringe events. More than 20% of shortlisted projects are in the UK, with the country dominating the ‘Completed Higher Education and Research’ category. 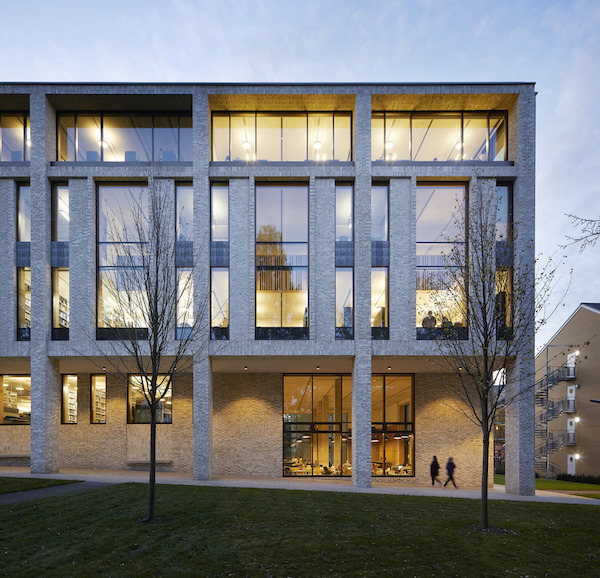 Highlights include University of Roehampton’s new library by Feilden Clegg Bradley Studios, and the Simon Sainsbury Centre, an extension of Cambridge Judge Business School’s `existing building, by Stanton Williams. This follows recent awards success for UK practices, including WilkinsonEyre, winners of the completed buildings, commercial mixed-use category at WAF 2017 for the second phase of Battersea Power Station and Alison Brooks Architects for The Smile project in the display category. The 2018 awards programme received more than 1,000 entries for the first time with numbers up 20 per cent compared to 2017. Architects and designers across 81 countries were represented on the shortlist. All types and sizes of architectural projects are represented on the 2018 shortlist for WAF, ranging from private residential, to education, infrastructure, healthcare, hospitality, cultural/civic, interior and landscape projects. Major world architects shortlisted include Zaha Hadid Architects, OMA, Foster & Partners, BIG, China Architecture Design Group, Leigh & Orange, Aedas, Grimshaw, Woods Bagot, Skidmore Owings & Meril, Heatherwick Studio and FJMT. Many smaller practices will also take part and pitch against the big names. The architects and designers behind each shortlisted project will compete for category prizes at WAF from 28-30 November where they will present live to international juries in front of festival delegates. Category winners will then compete against each other on the final day of the festival for the ultimate accolades of ‘World Building of the Year’, ‘Future Project of the Year’, ‘Interior of the Year’ and ‘Landscape of the Year’. The 2018 completed buildings ‘Super Jury’ which will decide the World Building of the Year, will be chaired by Nathalie de Vries, Director & Co-founder of Dutch practice MVRDV; panellists include Sir David Adjaye of Adjaye Associates; Manuelle Gautrand, Principal, Manuelle Gautrand Architecture; and Li Xiaodong, Founder, Li Xiaodong Atelier and Professor at School of Architecture, Tsinghua University.